Toddlers blossom under the care of an experienced staff team, in a warm, bright and well resourced environment. The Westholme journey starts here! In today’s rapidly changing and demanding world it is important that children, from an early age, should have a breadth of opportunity to develop their abilities and potential while enjoying the benefit of a caring, structured and secure environment. We believe that such a blend of opportunity and challenge exists at Westholme. From 2 years, boys and girls are welcomed into our Nursery located ideally within our Infant School. This is where we lay the foundation stones for a lifelong love of learning. Your toddler will be cherished, cared for and stimulated by our experienced staff. The Nursery at Westholme is a supportive, stable and caring environment where the focus is on your child. Care is available for 50 weeks of the year, from 7.30am until 6.00pm. Our Nursery children are an integral part of our Infant School, meaning that each child makes a smooth transition into Pre-School, the year before Reception. By the time children are ready for Pre-School aged 3, they are well prepared for the next stage of the journey. Care is taken to ensure that consistency, routine and familiarity are maintained. Wrap around care and holiday activities are all offered on a flexible basis to ensure that every family has a solution to their personal needs. 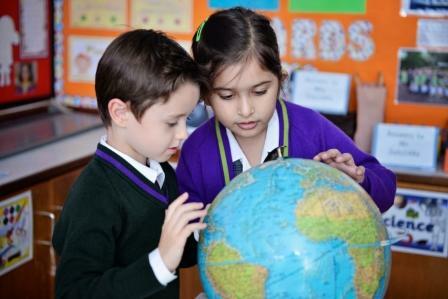 Our Pre-School children quickly grow into confident, independent young girls and boys as they soon become established as part of our Infant School and progress through Reception into Years 1 and 2. The Infant years for children are vital in terms of developing both attitude and aptitude. Expectations are high, care is continuous and learning is fun. When girls and boys leave us to embark upon the next stage of their Westholme journey, they, amongst an array of talents, are particularly competent readers and communicators, in the written and spoken word. Perhaps most importantly though, they are happy and self-assured individuals, entirely ready to make the transition to the Junior School. As a school we strive to be the best we can and this reflects the high quality education we offer and our constant desire to improve. In essence, Westholme Nursery and Infant School is a unique and dynamic School which offers all children the opportunity to develop a love for learning and enjoy a rich tapestry of educational experiences, helping them build a firm foundation for their future. Come and see us and find out for yourself!